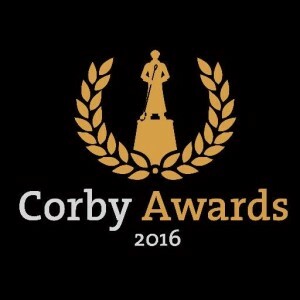 We are sponsoring this years Corby Business Awards, which will take place on 30th September 2016 at the Rockingham Forest Hotel in Corby. New for 2016, we wanted to celebrate those companies who go above and beyond to promote their business and utilise the world of social media to do so. This category is open to any business, large or small, in any industry and using any social media platform. This category is open to all sole traders within any industry. This category is strictly one man bands only, however, all entrants are welcome to enter into other eligible categories. This category is open to any provider of a consistently good dining experience whether eating in or out. This includes pubs, restaurants, Take aways, hotels and cafes within the Corby Borough. This category is open to all hair stylists, barbers, beauty and massage therapists, makeup artists, tanning salons, tattoo parlours, nail technicians, personal trainers, dieticians, gyms, dermatologists and spas in the area. This category is open to carpenters, electricians, builders, plasterers, roofers, plumbers, home maintenance, decorators, mechanics, travel agents, nurseries, print companies plus many other trades and services based in the Corby Borough. All business start-ups created during and after January 2014 to present are eligible. A special award for an individual or company who deserve recognition for a significant contribution within the Corby Borough. Anyone can submit a name and reason as to why they should win and all entries will be considered. This category is open to all businesses (under 10 employees, including sole traders) operating within the Corby Borough and is the top prize on the night, the crème de la crème of achievements. This category is open to all businesses (over 10 employees) operating within the Corby Borough and is the top prize on the night, the crème de la crème of achievements. Velocity are absolutely delighted to be supporting the Corby Business Awards 2016, to recognise and showcase the talent pool of businesses we have across our region. Deadline for applications for the awards is 26th August 2016.